Android tablets are not the trendy devices they used to be. There was a time when every Android OEM was releasing a tablet, but those days are long gone. Samsung is one of the few OEMs still pumping out decent Android tablets. 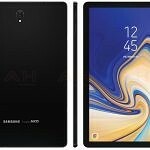 The latest tablet to leak is the Samsung Galaxy Tab S4, and it looks like Samsung has made some big changes. The Galaxy Tab S4 has popped up a couple of times in recent weeks, but this is our first look at the device. Based on the leaked render from Android Headlines, we can see that Samsung has removed the physical home button. The bezels have also been slimmed down and the 10.5-inch display seems to be 16:9 instead of 4:3. On the back, we can see “Tuned by AKG” branding, which should mean great audio quality with the 4 stereo speakers. One thing that seems to be missing is the fingerprint scanner. 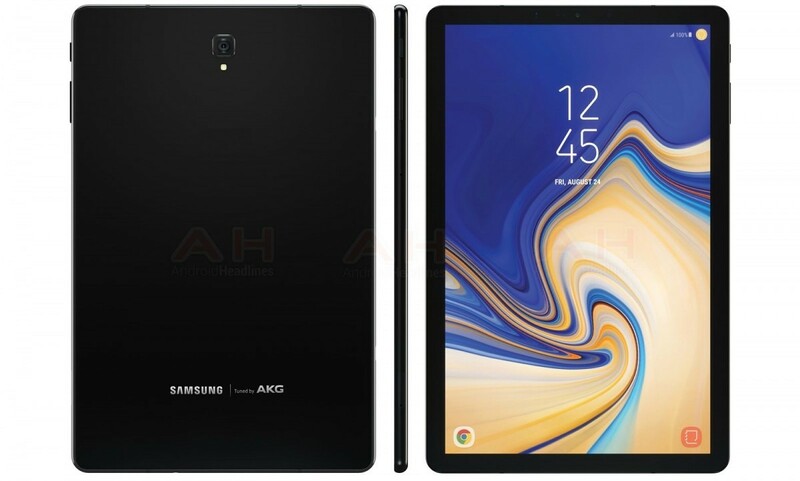 Previously, we saw the Galaxy Tab S4 pass through the FCC with LTE bands and get support for the Samsung DeX dock. Rumored specs for the device include the Qualcomm Snapdragon 835 processor, 4GB of RAM, 64GB of storage, 13 and 8MP cameras, 7,300 mAh battery, and Android 8.1 Oreo. We’re not sure when the tablet will be announced, but it seems like it should be soon. Are you still interested in tablets?